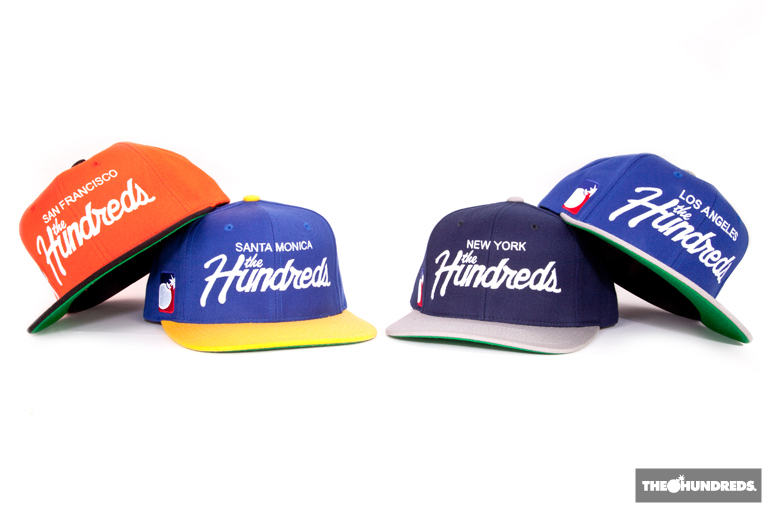 This Friday, The Hundreds releases its newest Store Exclusive Team snapbacks. The brand new Team snapbacks will be offered at all of The Hundreds flagship shops and in contrasting color schemes affiliated with each location, which was inspired initially by each citys traditional team colors. San Francisco will offer a festive black and orange color combination; New York will carry the classic grey and navy; Los Angeles will offer blue with staple charcoal; and Santa Monica, blue with a pop of yellow.